A Brighton institution known for its intimate atmosphere, Hop Poles Brighton has a quirky outdoor terrace and fabulous ever-changing menus that are as incredibly tasty as they are creatively written. Often hand delivered by the chef, you know this is food he is proud of. Solid pine tables, walls adorned with retro magazine covers, urban art and beer mats and lampshades your granny would be proud of. 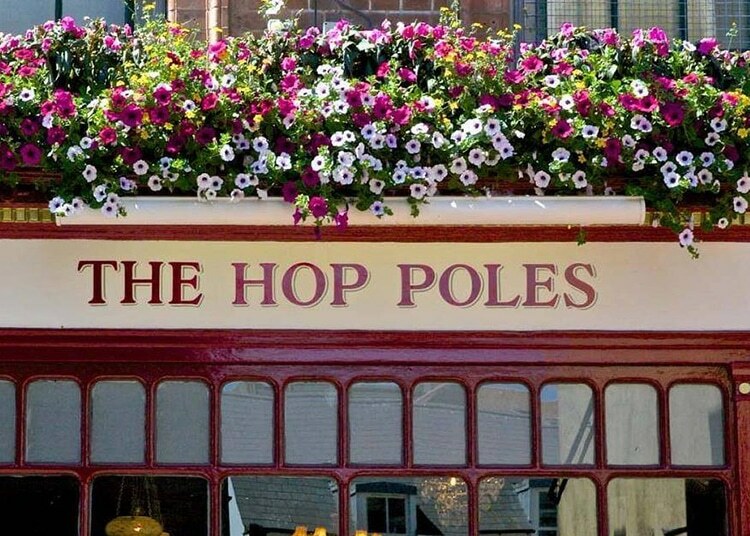 The Hop Poles manages to perfectly blend the traditional with the kooky and get it spot on. Only a few hops from the beach or the city centre, this unique little pub with a big personality is perfect for a laid back lunch or upbeat destination venue for a big night out. 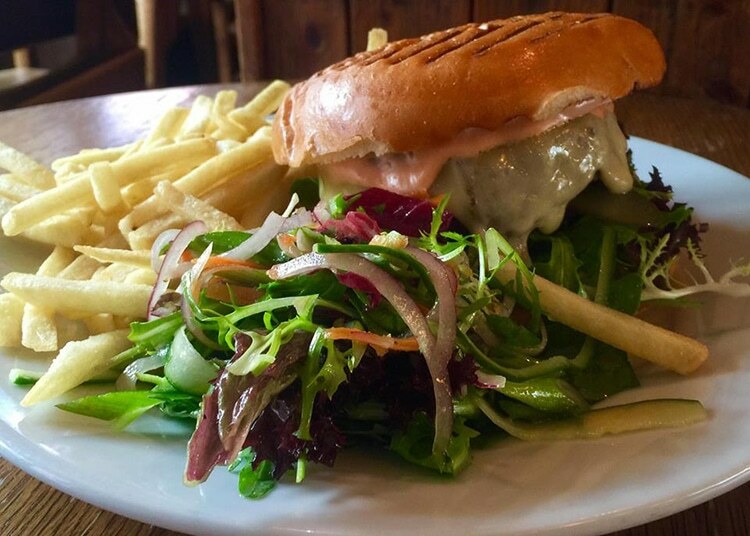 The Hop Poles are proud of their pub status and their menu reflects this with a strong showing of pub classics, bar snacks and mains. 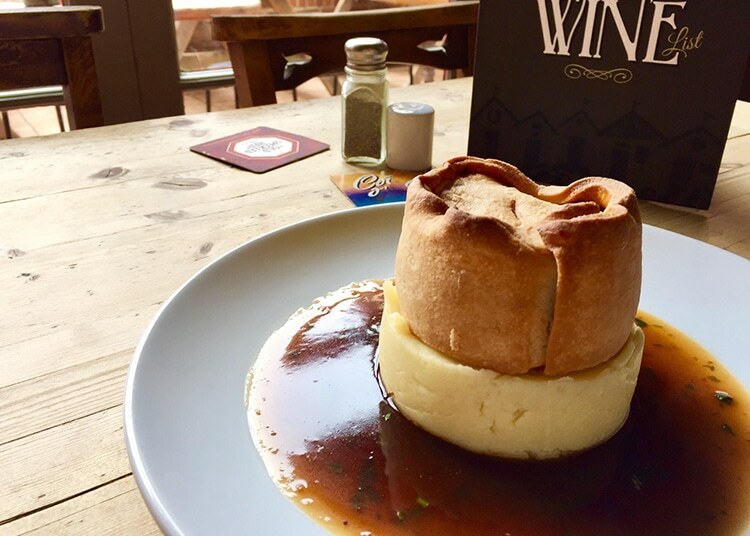 The main menu has plenty to choose from, and with seasonal specials each week you are spoilt for choice at the Hop Poles. As you would expect the Sunday menu has a strong showing of roasts and they pride themselves on being one of Brighton’s best. On Monday’s be sure not to miss their pie specials and the lunch ciabatta menu is perfect for a quick bite. The Hop Poles is a pub that take their music seriously and love bringing people together. Keep an eye out for regular open mike nights, live music and DJ’s to keep you entertained. If you prefer your entertainment more cerebral then their weekly pub quiz is always a great night out, especially when there is a £50 bar tab to win. We’ve been in Brighton for years and this is one of our go to venues for atmosphere, relaxed vibes and a generous portion of wholesome food.